Thread: What was your OTD price? I also received 15% off all the accessories. I was trying to find the promo that others mentioned about getting a 3yr extended warranty with the purchase of accessories. I think that promo has ended, or it must have been a dealership incentive. The dealer assembles the roll cage and sunshade, that's it! They also do a final inspection before passing it to the purchaser. Happy Trails everyone, this is a pic of the new ride. 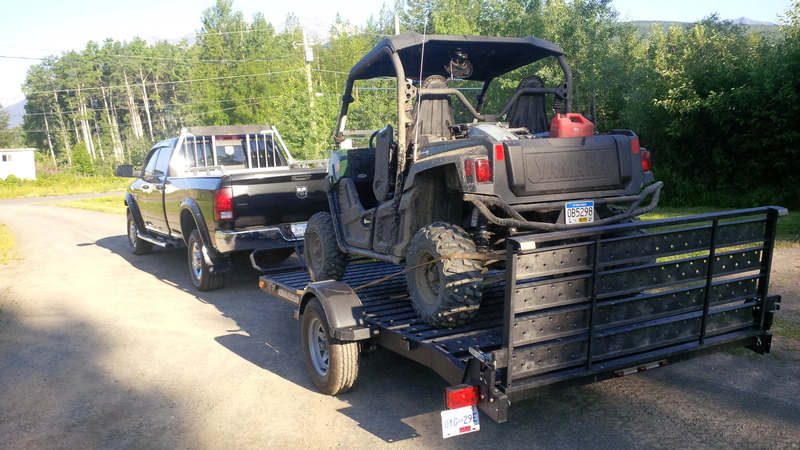 The trailer is a Triton AUT 1272 model with the upgraded aluminum wheels, gravel/rock guard, and rear bi-fold gate. It's 72 inches wide and fits this machine perfectly. Last edited by MNDruggist; 09-20-2015 at 05:14 PM. nice setup my trailer is steel with with folding ramp. Last edited by TRev; 09-21-2015 at 10:39 AM. do you live in bc? Last edited by TRev; 09-22-2015 at 10:48 AM. 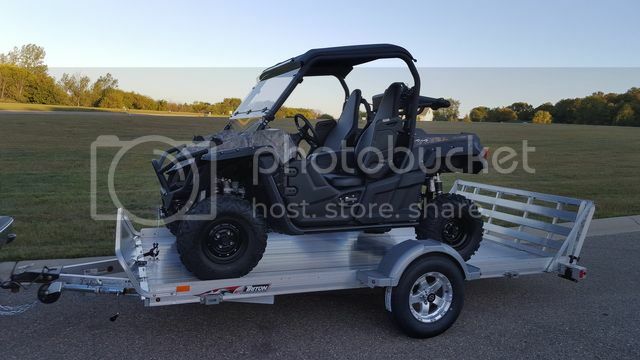 Triton's are really really nice and light weight trailers. Although, they are kind of pricey. I was looking at a 24' Triton enclosed and a few options was around 18k. ouchy Well, I chose to get a 1000lb heavier trailer for 10k less. But if you need lightweight those are some of the best. I live in northwest bc highway 37 north. The trailer was a 2015 and I paid $2600 with the upgrades. Triton raised the price on the 2016 trailers so it might be another $100-$200 now. 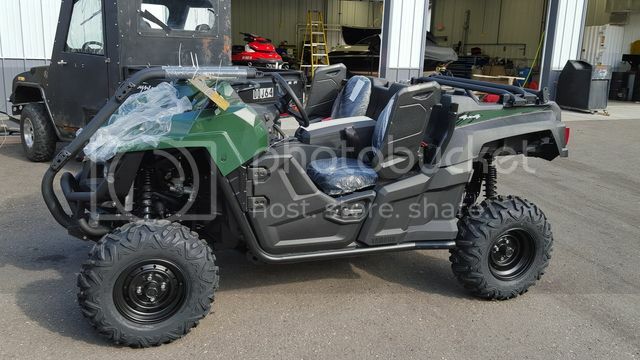 Found a Wolverine r-spec in Alabama for 11,389 no fees. Just have to pay sales tax when I get it back to my home state, probably around $1000 additional I'm guessing, so it would be 12,399 OTD give or take plus 640mi round trip to pick it up. No other dealer I've found close is much less than 13,800 OTD. How can this one dealer be 1000 cheaper than everyone else? I specifically asked - if I show up with a check/cash for $11,389, are there any additional fees, and he said no, I'd be able to load up and be on my way. Thoughts? Think he may be holding something back?